What are the positive changes with Saudi Arabian agricultural policies? What is the outlook for the sector? I think that the water policy in Saudi Arabia has changed in the last few years, as we soon realized that we don’t have enough water to support all the agricultural products that we were growing. For example, we were growing alfalfa wheat for animals, which we learned required a lot of water, as well as wheat and potatoes. These all required a lot of water, which is already very scarce in Saudi Arabia. My point of view is that we shouldn’t waste this water on planting agriculture products in Saudi Arabia. The agricultural sector needs to start looking for items or products that are suitable for our weather, soil, and water resources. I think we should revise the policy for all products, even dates and watermelons, which actually needs more than 150 liters of water for one watermelon – imagine if you had a field of water melon! One of the changes in the policy was that Saudi Arabia tried to secure land outside of the country in African countries? There are more than 25 countries that are listed in this policy where we can go and grow for strategic reasons; some of these countries are in Africa. I think it’s a good idea, but it has a lot of disadvantages; for example, if you have rice farms in Ethiopia, and there is a big famine in Africa, I don't believe that you would be able to export this rice out of Ethiopia or Africa to Saudi Arabia. It’s not that simple. What’s the best way for Saudi Arabia to diversify this risk? One of the ideas is to plant farms out of the country, but the only strategic reserve you have is the dollar. Then, you can purchase anything from all over the world. Going to Africa and other countries, there are a lot of political risks there. Sudan was one of the countries that was promoting and cultivating thousands of acres of land for Saudi Arabian agricultural companies. When the Saudi investors paid money and went there to work and start businesses, the political situation wasn't stable and a lot of Sudanese reclaimed the land for themselves with their guns. It wasn't a pleasant experience for the Saudis. One of the most important things you should look at before investing in agricultural is the political situation in the country; agriculture is very long-term investment, it takes at least 20-30 years to establish your company and products. How is doing business in Jeddah different from other regions in Saudi Arabia? Jeddah is different because it’s been a trade port for more than 1,400 years. Our existence depends on trade, and we were the hub between the east and west. The people in Jeddah are more open and hospitable because trading was their job for hundreds of years. It’s much easier to penetrate society in Jeddah and become one of the people there. 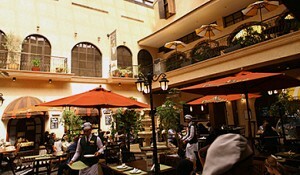 You are one of the leading families in Jeddah, and Saudi Arabia, what is the outlook for family-run businesses? How are they going to evolve in the future? We evolve like the rest of the world; now, you see family business being run in the third or fourth generation. This is the most critical stage in the company, if we manage to get through this stage, then the family business would continue. Ninety-five percent of businesses that continue after that fourth generation threshold usually last for hundreds of years. Today, families in these companies are writing by-laws on how to take it to the next step. In my case, the situation is manageable because we are only three brothers, but we all have sons now and look to the future of the company. We are regulating the relationship between the owners and the business, and we need to differentiate the family business and the business of the family. That is one of the biggest challenges that face family businesses, is that you take family problems to the office, and business problems home – you need to try and separate these two issues, as much as possible. Mohammed Abdallah Sharbatly Co. Ltd. distributes food products. 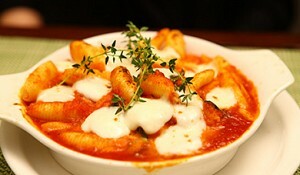 The company offers fresh fruits and vegetables and frozen food products. It also owns and operates cold storage facilities. 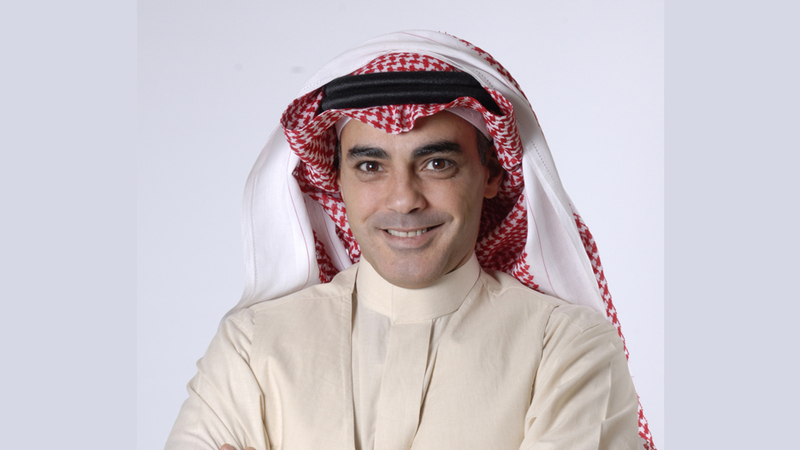 Mohammed Abdallah Sharbatly is based in Jeddah, Saudi Arabia with additional offices in Al-Ahsa, Buraidah, Khamis Mushayt, Dammam Madina, Makkah, Riyadh, and Tabuk, Saudi Arabia; Bahrain; and Sharjah, United Arab Emirates. The company is one of the largest fruits and vegetables distributors in Saudi Arabia. View top agriculture companies in Saudi Arabia. What are your key success factors and strategies in managing the business? Our vision is to put fruit on every Saudi table, and give all Saudi families the opportunity to eat fruit. We work on wholesale and quantity, and want to reach as many people as possible across the Kingdom. That’s why I have 12 cold stores [refrigerated storage warehouses], in each region of the kingdom, and each distribution center has vans that go directly to the shops. Also, I’m trying to cancel seasonality, which is another one of the challenges we face. To tackle that, we utilize the northern and southern hemisphere. In the winter, we get oranges from Spain, Egypt, and Morocco, but go to South Africa and Argentina in the summer time, when it’s winter in those countries. How do you identify the best quality products and bring them to the most sophisticated consumer market in the Middle East? 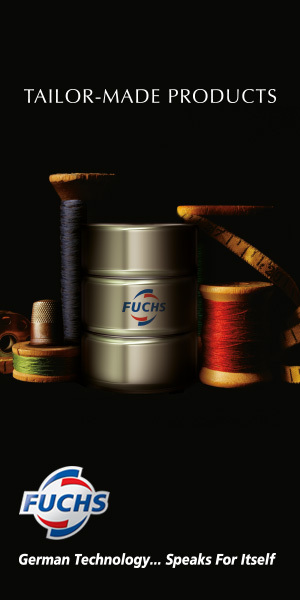 We know our business and we know what to buy – and not necessarily, always the best quality, you have to keep an eye on the price. The Saudi Arabian market is very price sensitive, and people are becoming more rational consumers. I try to get the whole spectrum of products to satisfy the different segments of the market: from Washington Grade 1 to commercial. Has the market changed a lot over the last several years? Yes, we see the trend of consumption is changing, that people are becoming more aware and rational. Supermarkets are becoming more important, and we see that Saudi families have both parents working so there is not enough time to go grocery shopping. Twenty years ago we used to only sell 20 kg cartons, but now I’m making and selling ready-to-go packaged plates that have an apple, banana, and an orange on it. We keep up with the trends in the market, and sometimes we create the trends – this plate of fruit, for example. Another example, and one of the proudest projects that I’ve worked on, was hiring 250 women to work on the factory line to repack bigger cartons into smaller packages for distribution. This is a trend seen all over the world and now we brought it to Saudi. Have consumer tastes and consumption patterns changed as well? Yes, consumer tastes change because of the international market. When I joined 20 years ago, normal red apples had the highest demand, now it’s the bicolor Royal Gala apple. We have more demand for golden apples, not Granny Smiths. The Saudi market look at fruit as something sweet, the Granny Smiths are too bitter, and grapefruit never did well in the market. Bananas are the number one fruit – Cavendish banana is the highest selling fruit because the price is reasonable and the protein fills you up. Many of the local sweet dishes are made out of bananas as well. 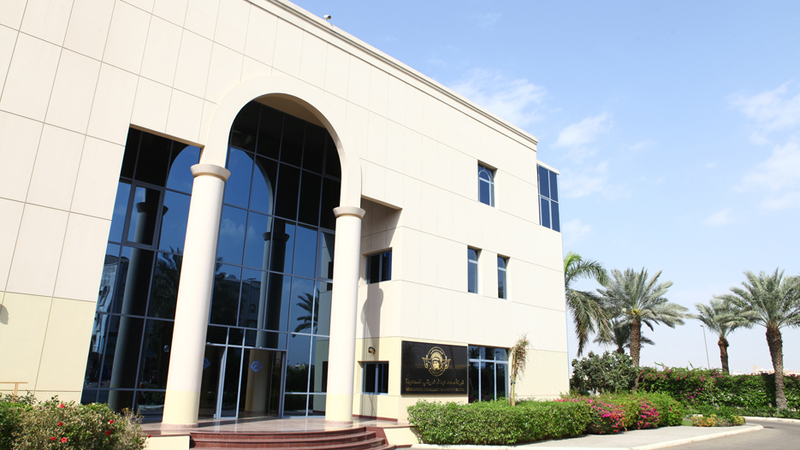 Mohammed Abdallah Sharbatly Co. Ltd. head office in Jeddah. Do you see any increase in consumption? Always, and I link it to the growth of population – Saudi Arabia is one of the fastest-growing nations at around 5% every year, so the demand grows steadily around 5% per year. The consumption of fruit by Saudi Arabians is still not as high as Americans or Europeans, but it’s increasing. For economic reasons, it’s cheaper to buy a 20 kg carton of Royal Gala apples than a birthday cake. We’re doing campaigns in schools for children to try and create more awareness about healthy aspects of food, and try to make eating fruit cool and hip, which is difficult to compete with Coca Cola, Pepsi, and Red Bull. We support and endorse many of the Ministry of Health’s campaigns. We want to become the biggest or the main fruit operator in the Arab world, not only the Middle East – but my dream is to operate from Morocco to Bahrain. Today we are in Bahrain, Dubai, Kuwait, Saudi Arabia, and Egypt, and from Egypt we’re going into Libya, but it’s a little difficult there right now. What are the main challenges that your business is facing? My biggest challenge is perishable fruits, and I’m always working with deadlines and attempt to improve the transit time. I don't have an expiration date, but the fruit can go bad at any time. I have to make very calculated decisions and weigh different options because it’s a very tricky and risky business. What are the policies that you set out to keep the fruit fresh? We have a warehouse here, which has the best technology in keeping the fruit fresh, and have controlled spaces and containers at the source where we get the fruit. We try as much as possible, but even if you’re 100% careful, you still only have 10-14 days of shelf life to transport it from Jeddah port to all the restaurants and grocery stores. This is a logistical nightmare, and a reason why we have a separate sister company that is only in charge of transportation and logistics. We realized that doing it ourselves was easier and more professional, so we created this transportation company. Even if we can add more hours, not days, to the shelf life of these fruits, then that means more money for the company. What are the key real estate projects that the Sharbatly family is developing? We have a real estate department, and one of our projects is the Sharbatly village, which is a 1,000-villa compound. Now, we’re looking at building a hotel in Jeddah, another compound like Sharbatly village, working on buildings in the downtown area, and renovating my grandfather’s old house in historic Jeddah. The house is over 100 years old, and we want to restore it and make a cultural center there. There are a lot of side businesses, but our main business is the fruit business. We work 24/7; there is no day off. 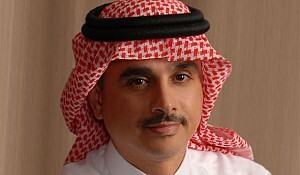 Do you feel that the food imports and exports are sufficient in the Kingdom? We need to change the equation because more than 90% of our exports are oil-related, and I think the government is doing something about that. We need to become less dependent on oil, but the $100 billion question is how the government will solve that problem, but they’re working on that. There is a space for investment in agriculture in Saudi Arabia, what are the profitable areas? I remain pessimistic about agriculture in Saudi Arabia because we don't have water. Anybody that comes up with any idea, I’m not eager to hear about it because there is not water. Any water that we have should be for drinking, and I know this isn’t what people want to hear. When we decided to plant farms, we went to Chile, Egypt, and South Africa, and now we are thinking about the Philippines because they all have water and it’s not in short supply. Agriculture is only for economies of scale, you need big farms, and greenhouses won’t solve strategic food security, only symbolic and beneficial for experiments. You do business in a lot of countries, how is it like to do business in Saudi Arabia? Is it a good place to do business like the World Bank says or is it different? Saudi is a good place to do business, especially in the last 10 years with the new laws that have introduced and attracted foreign investment. More foreigners came here and have it easier than Saudi businesses; we joke and say that it is easier for foreigners to start a business than Saudi Arabians. Are you currently looking for any strategic partners or investors? We can work with anybody, but we’re not looking for partners, as we want to keep the business in the family. I’m always interested in hearing about new ways and technological inventions for keeping the quality of the fruit good and increasing shelf live during the long journey. When the oil prices go down, then transportation becomes easier; but faster transportation hasn’t changed in the past 100 years: it took 4 weeks from Cape Town to the United Kingdom and now it takes 4-6 weeks, so it’s the same. Ships transport 90% of all the trade in the world because it’s very expensive to ship by plane. In the beginning of the twentieth century, Sayed Abbas Sharbatly (may Allah have mercy on him) established himself as a trader and importer of food products. He worked with his sons to pioneer the importation of bananas and other fruits to the Kingdom of Saudi Arabia in 1930. During World War II up to the late 1940’s food trade flourished in the city of Jeddah with an increased demand for all products. At the beginning of 1950 contracts were signed with Eritrea and Ethiopia to import fresh fruits to the markets in the Kingdom. With the increasing demand these existing contracts were enhanced with other supply contracts from Egypt, Lebanon and other neighboring countries for the same purpose. In order to expand the family business, Sayed Abdullah Abbas Sharbatly purchased a fleet of refrigerated transport vessels to ship imported fruits to the markets of the Kingdom. This step reinforced the business’ position in the market. By the end of 1950, he began importing fruits from the countries in Europe. Cold storages were built at the beginning in 1956 in Jeddah, Riyadh and Dammam. Newer contracts were signed with Somalia for the purpose of importing bananas. Oranges were also imported from Egypt and Lebanon during the winter season and during summer, South Africa became the source of imported citrus and apples. By the end of 1960, the expansion of Sharbatly Cold Stores continued to meet the growing demand of the Saudi Arabian markets by supplying the finest fruits from different origins. In 1970, Sayed Mohammed Abdallah Abbas Sharbatly began importation of bananas from Ecuador and countries in Central America. For many years, Sharbatly Cold Stores had been the single and unique supplier of a variety of fresh fruits in the Kingdom, and the timing was perfect to invest in agriculture other than importation. Contracts were signed for the cultivation of bananas in the valley of Aouic in Ethiopia through the partnership with the Ethiopian Development Bank and a group of Somali farmers. On that same year, Sharbatly Cold Stores started importing bananas from the Philippines to diversify sources of imports and making sure that fruits were available at all times. In addition, a new company was founded under the name of Arabian Agricultural Crops Development Company which is based in Egypt with the purpose of investing in agriculture and exporting crops from Egypt to Saudi Arabia. As the population of Saudi Arabia increased to ten million by the end of 1970, a steady demand for fruits continued to increase in parallel with the country’s development through the wisdom of the Saudi government. Sharbatly Cold Stores expanded its fruit importing resources reaching most of the fruit producing countries. The eighties of the last century had a special character. Sharbatly Cold Stores expanded to build the largest refrigerated storage in the Middle East. Cold stores were built in Jeddah in 1982, Riyadh in 1986 and Dammam in 1990. Sharbatly cold stores wore a unique brand placed as a logo on imported fruits and on workers’ uniforms. Sayed Abdullah Abbas Sharbatly died in 1984 after a successful life for the well-being of his country and the nation of Saudi Arabia. Sayed Mohammed Abdallah Abbas Sharbatly was awarded the Philippine Prize on October 13th 1989 for the role of Sharbatly Cold Stores in the Philippine exports. Continued successes made Sharbatly Cold Stores to become the largest supplier of fruits in the Kingdom of Saudi Arabia. Along with these successes, fruit sources expanded to include New Zealand for kiwifruits, Australia and Morocco as suppliers of citrus and Chile as supplier of premium grapes and apples. From the beginning of 1990, the sons of Sayed Mohammed Sharbatly stood with their father to manage Sharbatly Cold Stores. Sayed Abdullah Mohammed Sharbatly and Sayed Seifallah Sharbatly created and managed Sharbatly Cold Stores in Khamis Mushayt at the southern region of Saudi Arabia. The cold store in that region was built over an area of 20,000 square meters. Sharbatly Cold Stores also opened branches in Buraidah and Tabuk in addition to the establishment of Sharbatly Cold Stores transport fleet to distribute fruits all over the Kingdom. With the increased pace of work and through the grace of God, the company needed more space to accommodate all of its operations. 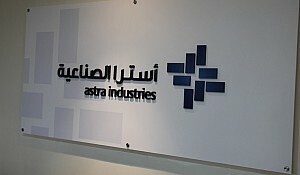 The time to build the head quarters of the company in Jeddah came. Sharbatly Cold Stores in Jeddah was built three times larger than the old cold storage located at Jeddah-Makkah road. After the significant successes made by Sharbatly Cold Stores, Sayed Mohammed Sharbatly converted the name of the company to be Mohammed Abdallah Sharbatly Co. Limited in 2004, opening more branches and cold storages around the Kingdom. The company expanded and reached international markets as well. It opened branches in Bahrain and Dubai. The company now has over 1,000 employees with the highest skills and expertise. All of the company employees are trained to use the latest technologies in their respective workplaces. The company now owns farms in Chile and South Africa, in addition to the citrus packaging station (plant) in Egypt. With the company’s excellent reputation and great achievements which expanded its business, it became one of the largest companies working in this field at international level, linking it to extensive trade relations with major international companies. 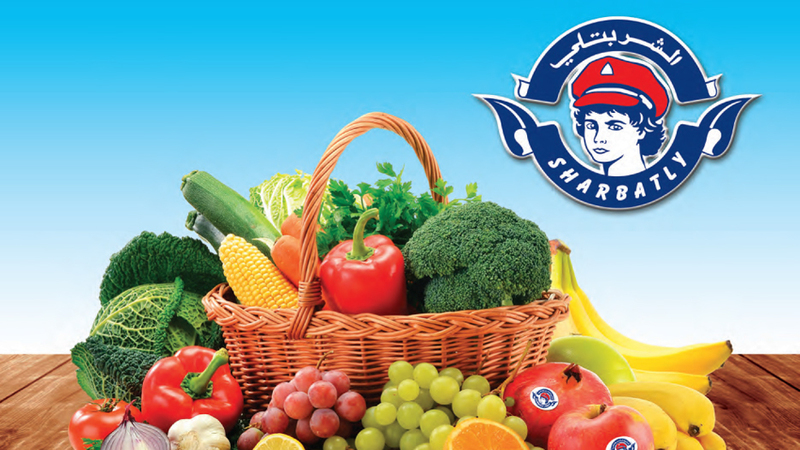 Sharbatly Company imports all kinds of fruits and vegetables from all over the world, whether by land, by sea or by air. Based on company reputation, knowledge and skills, it has recently begun to import frozen products of all types of poultry, meat and frozen vegetables. And in a short span of time, Sharbatly Company was able to occupy a large and noticeable position in the frozen food markets. 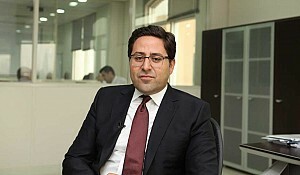 Since the Sharbatly family has a long successful history in the fruit business, not to mention the experiences and relations to local and international markets, family members have participated in the foundation of many prominent companies within and outside the Kingdom, such as Savola Group and other leading companies.